The BMS RIs are on the ESFRI (European Strategy Forum on Research Infrastructure) roadmap. The missions of the BMS RIs stretch from structural biology of specific biomolecules to clinical trials involving thousands of human patients. Most serve a specific part of the vast biological and medical research community, estimated to be at least two million scientists in Europe across more than 1,000 institutions from more than 36 ESFRI Member States and Associated Countries. Each of them brings together its own large community of users to build a coordinated infrastructure. This process has already had a major impact on coordination of national infrastructures within each member state. Essentially all BMS RIs are distributed infrastructures, with nodes in many European member states. 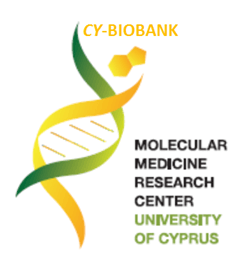 Lead by University of Cyprus: The upgrading of MMRC into a CoE and its close partnership with the named Advanced Partners is a safe and sound strategy that will assist Cyprus over the next decade to enter large European networks and participate at ongoing and future epidemiological studies with mutual benefit to the Cypriot and the European patients. The EFPIA consortium has considerable experience in training and education, management, pan-European geographical outreach, and an extensive external network of contacts. The participants, together with the coordinators of IMI&T topics will participate in the Strategic Co-ordination Board to ensure coordination between the IMI&T topics whereas the Steering Committee will supervise the management of the project. E&T (Education and Training) topics representatives will be invited to participate in work packages activities. Based on extensive mapping of existing resources and on a gap and overlap analysis (Work Package 3) the consortium will develop and implement a strategy for harmonisation and accreditation (Work Package 4) of Master level Work Package 5) and PhD programmes (Work Package 6) as well as continuous education programmes (Work Package 7). It will develop innovative concepts and methods in conjunction with the other topics (Work Package 8) that will support the content for the IMI education programmes. National implementation will be facilitated through contacts with university authorities, ministries of higher education, and through national liaison offices. After implementation in a core group of institutions, extension is planned both within countries represented and in additional countries (Work Package 4), with the support of a dissemination and communication activity (Work Package 9) The harmonisation and the modular nature of these programmes will allow trans-disciplinary curricula as well as trans-border mobility, and PhD programmes will be designed to foster industry/academia mobility and collaboration. Benefit/tasks for BBMRI-ERIC: Work Package 1: Technology exchange, outreach, training and support with the following deliverables; Task 1.1: Support and outreach to the user community Task 1.3: Coordination. Lead by Stichting European Grid Initiative: High-throughput technologies are more accessible to research-biobanking and the number of biobanks providing services that require large storage capability and parallel data analysis is increasing dramatically. Moreover, data from multiple biobanks must now be pooled to reach statistical power to elucidate meaningful associations, while complying with legal and regulatory issues. This BBMRI-ERIC EGI (European Clinical Research Infrastructures Network) Competence Centre thus focuses on helping BBMRI-ERIC to bridge this gap with the implementation of big data storage in combination with data analysis and data federation using EGI federated cloud infrastructure. 7. Build a network transferring the expertise of established European large-scale biobanks to new biobank initiatives under development in other countries (BBMRI-LPC Forum). B3Africa (Bridging Biobanking and Biomedical Research across Europe and Africa) will dramatically improve and facilitate the development of better predictive, preventive and personalised healthcare worldwide. The rapidly evolving African biobanks are an invaluable resource: The African population has the greatest genomic diversity on the planet and represents an incredible resource of information to advance biomedical research. B3Africa aims to implement a cooperation platform and technical informatics framework for biobank integration between Africa and Europe. The collaboration harmonises the ethical and legal framework, biobank data representation and bioinformatiCommon Service pipelines for sharing data and knowledge among biobanks and allowing access for researchers from both continents. Defining an ethical and regulatory framework for biobank data sharing between Europe and Africa. Defining data models for representing biobank and research data based on existing best practices, standards and ontologies. Designing an informatics platform using existing open-source software (with eBioKit and BiBBox as essential modules) integrating workflows for biobank applications. Implementation of an education and training system for information and capacity building. Validating the B3Africa concept with existing biobanks from both continents. B3Africa will provide the critical mass to maximise efficiency in biomedical research, supports defragmentation through integration and allows efficient leverage of existing biobanks and e-infrastructures in Europe and Africa. The technical informatics framework will be designed for easy upscaling and integration with other research infrastructures.